"Where am I going? Where am I now? How can I close the gap?" Formative instructional practices (FIP) are the formal and informal ways that teachers and students gather and respond to evidence of learning. These practices help students answer those questions, in order to become a true partner in the teaching and learning process. There are four core components of FIP. 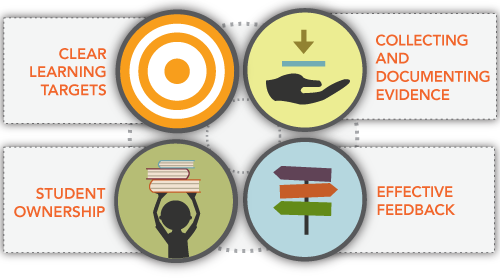 Research shows that integrating these components into daily practice can increase student learning and teacher effectiveness. Learn more about the core components of FIP. Formative instructional practices, which are sometimes referred to as the process of formative assessment or assessment for learning, are not a trend; these practices are backed up by years of research by experts including: Black and Wiliam, Wiliam and Leahy, Marzano, Costa and Kallic, and Harlen and James. 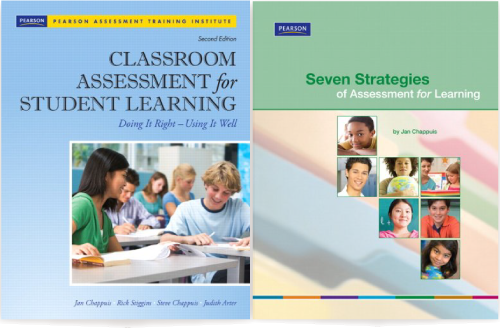 The online learning modules offered through FIP Your School draw on content from two Pearson ATI publications written by assessment experts Jan Chappuis, Rick Stiggins, Steve Chappuis, and Judith Arter.